Our qualifications, our highest caliber world famous medical training, and our experience are how we differentiate ourselves. 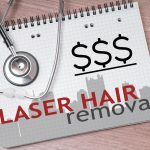 How does the laser work to remove hair? Laser hair removal utilizes concentrated light energy that is absorbed by the pigment in the follicle of each individual hair. The laser light is applied to the overlying skin for just microseconds. With each pulse of the laser, many hair follicles are destroyed without any damage of the skin. Individuals with dark hair with light skin are the most appropriate candidates for laser hair removal. The pigment in the hair attracts more light energy than the overlying skin. People with blond, red or gray hair are usually not suitable candidates for laser hair removal. People with dark complexions or who are tanned will not respond as well as those with light skin tones because the pigment in the skin will absorb some of the light energy of the laser. No. Some facilities use a laser-like device, intense pulsed light which is not really similar to a laser. IPL is slow and commonly described as painful when compared to laser. IPL requires more treatments, is inconvenient and inferior to the use of true lasers to remove hair. Multiple sessions are usually necessary to give optimum results. A misconception is that your hair will be permanently removed for life. But in practice the laser affects only those hairs in the active growth phase of their cycle. Further sessions are usually necessary to hinder these hair follicles when they emerge out of their dormant phase. Maintenance or touch-up sessions are usually required depending on the final desired outcome. Lasers provide an effective long lasting solution for hair removal. The laser affects only hair in the active phase of their cycle of growth. Hair in the dormant phase cannot be treated by the laser at that particular stage. When the dormant hair once again starts growing again, the laser will become effective at that time. Therefore multiple treatments are necessary. Laser has a long standing history of being safe when operated in the right hands. 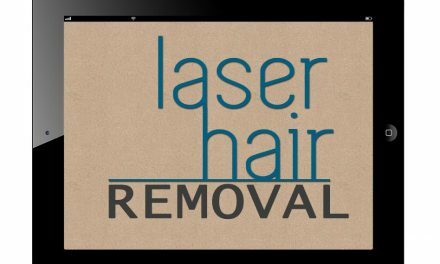 Laser hair removal should be done in a medical office under the direct supervision of a physician who is on site. We recommend that you refrain from waxing, plucking, or using any depilatories for at least a month before each treatment. For the best results, there must be short stubble visible at the time of your laser treatment. Men need to shave their backs about two or three days before each treatment. Deliberate sun tanning is strongly discouraged for about one month before each procedure. The treatment area will become slightly reddened almost like mild sunburn. This usually subsides within a few hours. You need to avoid tanning booths or extended sun exposure. Use of a sunscreen is highly recommended. You should see an improvement approximately two weeks after treatment and the hair will often fall out at that time. Does health insurance ever cover the laser treatment? No. 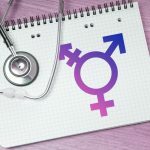 Laser hair removal is a cosmetic procedure and all health insurance companies will not pay for it even if there is a medical condition which is the cause of the abnormal hair growth like polycystic ovary disease.